Georgia is a southeastern state with a variety of terrain ranging from coastal beaches, farmland and mountains. Whether traveling for a luxury vacation, business, or special event, our private jet charter team can arrange a luxury jet to/from any travel destination in Delaware and neighboring states of New England. Fly private with our Delaware private jet charter service and arrive in style for your next trip! Fly privately into one of the following destinations within Georgia. This list of destinations is based on Air Charter Advisors clientele requests, local attractions, and online reviews. 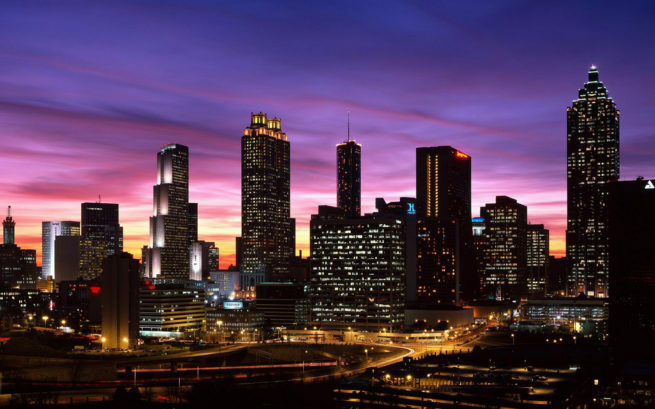 Atlanta is the state’s capital, home to several businesses and a thriving cultural scene. The city of Savannah is famed for its 18th- and 19th-century architecture and leafy public squares, while Augusta hosts the annual Masters golf tournament. Request a Quote or give us a call at 1-888-987-5387 to speak with one of our Georgia private jet charter brokers for your next luxury vacation, business trip, or special event.